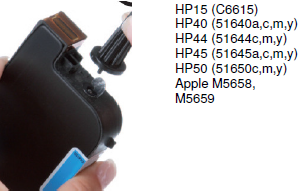 It is suggested to purchase BCH Premium Refill Kit for HP15, HP45, & HP78 which contains special tools. The detailed instruction is included in the premium kit. This manual is for people who bulk generic refill kit and want to use it for refilling HP 15, 45 and 78. 4. 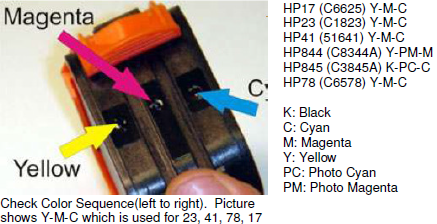 Clean off top of cartridge, Place scotch tape over the top of the cartridge to seal the hole.